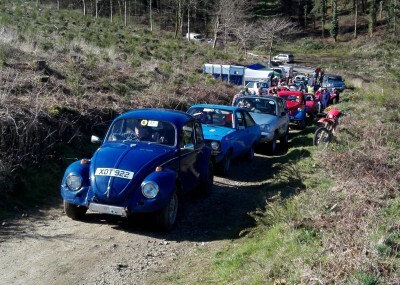 In 2016 we introduced a new PCT event to the club calendar called the Autumn trial. For 2019 this will be on September 8th near Wilmington/Colyton in Devon. This will be run as a clubmans event and will be a round of the ASWMC trials championship. In 2019 we are pleased to be hosting the first round of the BTRDA/MSA/ASWMC CAR TRIAL CHAMPIONSHIP. Re-arranged for 25th May due to bad weather and waterlogged venue. Summer Production Car Autotests are held in a local field, location to be advised, for 9 rounds on every other Wednesday from the 8th May 2019. Just turn up and enter, temporary membership is available so you can just 'have a go' in organised motorsport. 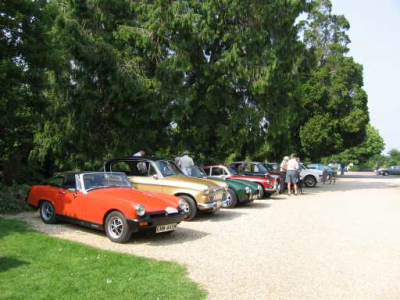 Summer Classic run was last held on in June 2018 (Fathers day). It was a route of around 80 miles mainly around the Somerset and Devon borders on the Blackdown hills with plenty of time to lunch at leisure and finished with a tea at the Worlds end near Wellington. It returns in 2019, a different and scenic route with time allowed for lunch along the way. Again on Fathers day, 2019. Bovey Down Trial will now be on May 12th. This is a single venue event suitable for Novices and experts alike. No road miles, catering and a loo onsite with plenty of observed competitive sections make a great social and sporting event to end the season. Our own PCT that we call the Uphill Challenge or Summer trial, will be on Sunday 11th August. Club members only, but come along and take temporary membership for the day. 2018 event was cancelled due to Bad weather.